Another Georgia O’Keeffe image, this latest August Poetry Postcard Fest poem was sent as prayer for a postcarder in the middle of summer wildfire hell. 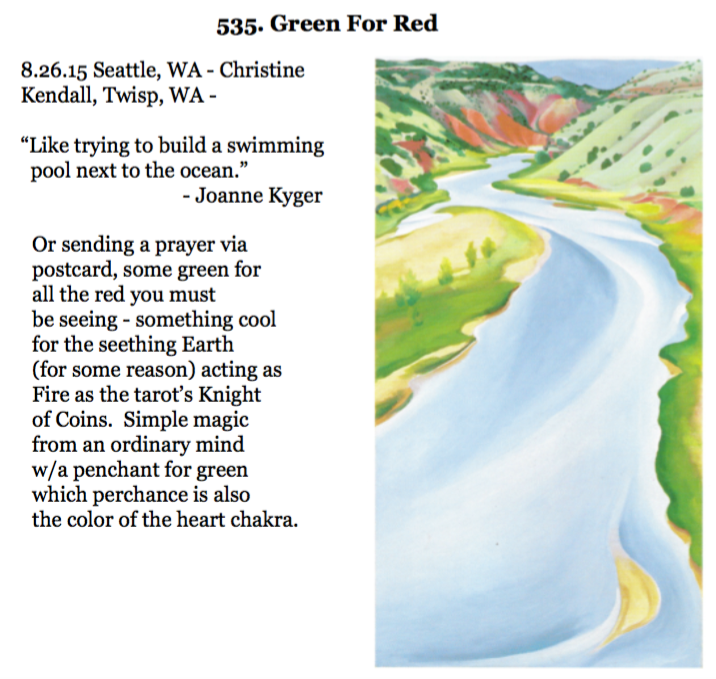 This entry was posted in Uncategorized and tagged 2015 August Poetry Postcard Fest, Christine Kendall, Heart Chakra Green, Joanne Kyger, Twisp WA. Bookmark the permalink.